A brilliant follow-up to the sometimes flat debut, Stand Up was, in the great tradition of this band, a growth spurt completely unexpected. From the first few moments it revealed a group who'd seen the writing on the rock 'n roll wall, and were more than ready to show what was possible in a brave new musical world with no ceiling in sight. 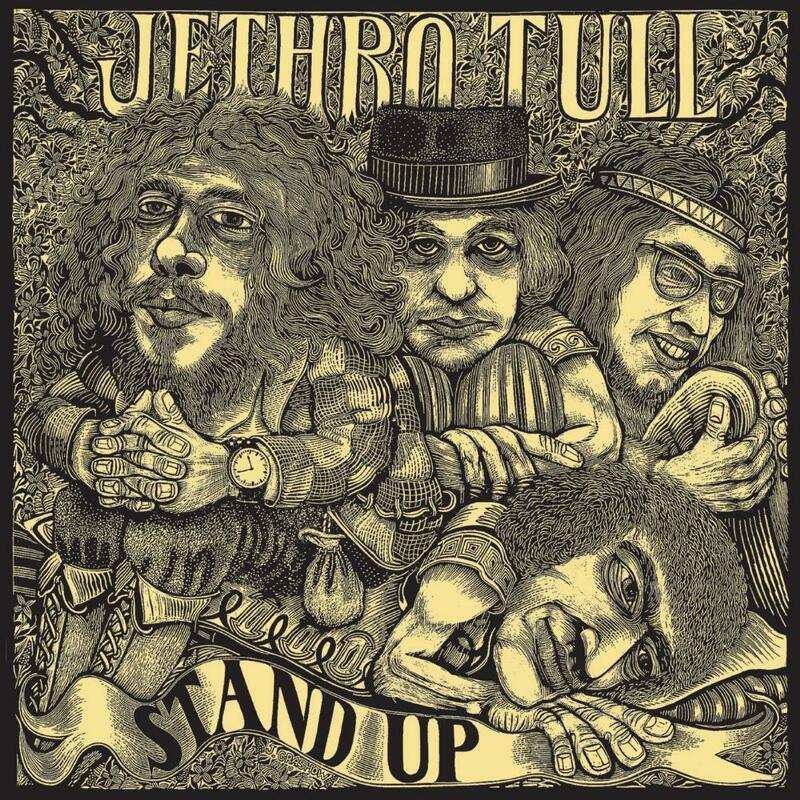 Well beyond the psych/blues quagmire of the period, in certain ways this represents Tull's finest moment and though not as ambitious as later releases, it is a beautiful album that heralded a grand new time. Not to mention a group able to compete with bigger kids like Sabbath and Zeppelin. The mix is a huge improvement from the first session as well, making 'Stand Up' one of the best records of 1969. Right to the meat is the hearty 'A New Day Yesterday' pounding a classic hard-blues riff into submission, quieting for Ian's pipings and harp. In 'Jeffery Goes to Leicester Square' we finally hear him dipping into his Celtic past and jester's heart, new member Martin Barre a blessing on guitar accentuating Anderson's compositions just right, Glen Cornick and Clive Bunker the ideal rhythm section as evidenced on classic 'Bouree'. Minstrel's tune 'Look Into the Sun' is good but 'Nothing is Easy' is definitive early Tull, a soft-to-hard jazz rocker that showcases Anderson's flute. Jiggy 'Fat Man', folk rock of 'We Used to Know', the warm 'Reasons For Waiting' with great guitar/flute duets, Bunker's hot percussion, a bit of organ and a string passage. And the almost symphonic 'For A Thousand Mothers' to end. This is full blown progressive rock with all important elements a good year before Genesis and Yes had caught up. A prog album like no other and one of the first really serious, inspired and ostentatious recordings of the movement, and absolutely essential for any complete Prog collection. Maybe someday we'll get that pop-up interior... c'mon guys, we're waiting.